The conditions earlier this morning approaching Kirkwall. 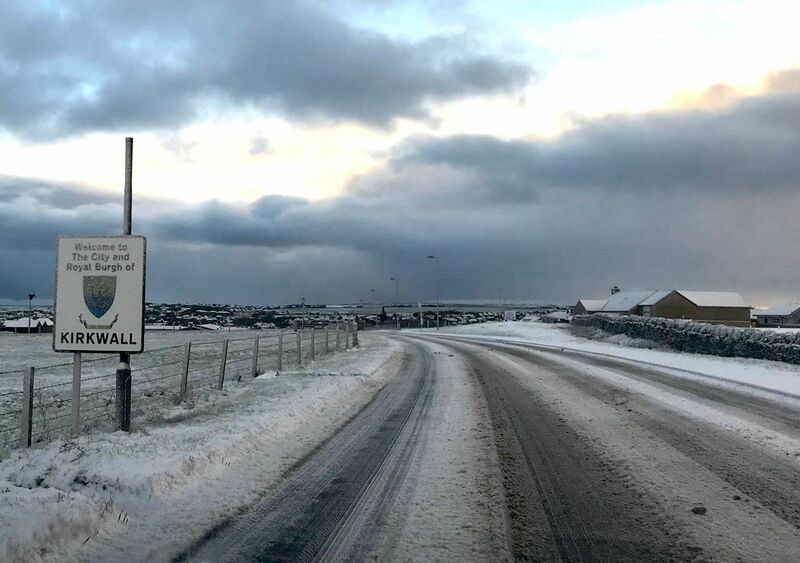 With winter again biting, and many areas of Orkney under a blanket of snow today, Highlands and Islands Police Division says it is more important than ever that your vehicle is suitably prepared for the roads. Police this morning said that it is important before you set off to make sure your windows are clean, properly demisted and clear of all snow and ice before you drive. Also make sure that your roof is clear of snow, as this affects drivers behind you and can also cause obstructions on your windscreen when braking. Police added: “Winter road safety is not just about clearing your windows – take special care that brakes, tyres, lights, batteries and wiper blades are in good condition and well maintained. In addition, washer bottles need to contain an additive to stop the water from freezing.